Under the Chinese government’s One-Child Policy, farmers with over-quota children are forced to pay fines that they cannot afford. The officials then take their children away and sell the children for a low price to government orphanages. The orphanages then fabricate data to make these children “orphans” and put them up for international adoptions to collect high fees. The international adoptions are usually in Europe and the United States. Families that adopted these children truly believe that the children are orphans. 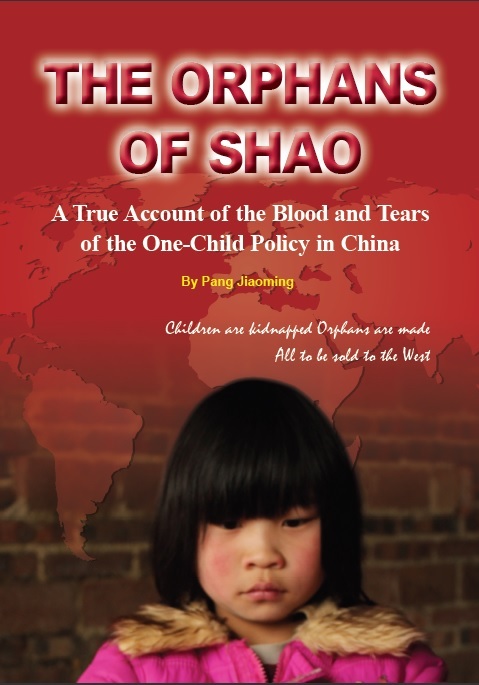 Our book “The Orphans of Shao” records such cases. The author, investigative reporter Pang Jiaoming, has successfully confirmed evidence for more than 10 cases. We hope more adoptive families can understand the other side of the international adoption system. The birth parents of missing children have told us that if they know their children are still alive and are in the U.S., they can stop their painful search and won’t force the children to return to China. We are very fortunate to gain Mr. Pang’s copyrights to publish his book in the United States in English. A press conference on the release of this book will be held at World Youth Alliance.